"Potential is not an endpoint but a capacity to grow and learn"
My mission is to awaken and optimise the inherent abilities in each client that comes through my door so they can achieve their highest potential. In some cases more specialised knowledge is required to achieve the best possible outcome. I have an extensive Network of a Highly Skilled Professionals‍‍‍ that I can call upon for advice or to refer to. Some of them are my teachers, others are trusted specialists in the areas outside of my scope of expertise. Jackie DeVries is a very skilled and passionate therapist who gets absolutely amazing results in treating clients with various conditions. I’ve been working with Jackie since 2010 first as a client then as a pupil and a colleague. Her work was instrumental in getting my son from not sitting still for a minute and having no spontaneous speech to staying still and focussed for up to 30-45minutes, expressing his needs and having a basic conversation. This was achieved through Neurofeedback and other neurophysiological approaches that are part of her comprehensive integrative model. Jackie has introduced me to Neurofeedback and has encouraged my professional growth in this field. She continues to be my first point of call when I hit the ‘block’. Julie has introduced me to the world of NLP. Attending her course on Understanding and Managing ADHD, Aspergers and High Functioning Autism with the Application of NLP in 2012 has helped me to work with my our son and to run Hope for Autism – parents support group in St Albans, where we lived at that time. NLP, Hypnosis and Time Line Therapy Practitioner training in 2013-2014 was a great breakthrough experience for me personally and professionally. Talent and Leadership Expert, author of over 10 books, coach, writer and presenter. Peter is one of only six Society of NLP licensed Master Trainers in the world, and over the past 25+ years he has developed a reputation as an innovative, thorough and insightful developer and trainer of NLP. NLP Master Practitioner Training with Peter in 2018 was a great boost to my skills, knowledge and confidence. Janet Thomson s an amazing and very inspirational therapist who I’ve been learning from since 2016. She has an amazing knowledge of the nutrition, exercise, NLP, Hypnosis, TFT and Psy-Tap that allows her to achieve great results with her unique Placebo Diet weight loss approach and coaching clients how to be empowered. She is a great trainer too – I came out of her ‘school’ a fair bit wiser and much slimmer. Mark is a leading developer, teacher, and clinician of neurofeedback interventions for a variety of disorders. He was the first to use Z-score training in clinical practice, works closely with Thomas Collura of Brainmaster Inc. and Robert Thatcher from Applied Neuroscience Inc. to develop Z-score neurofeedback interventions for a host of clinical presentations. Infra-slow Fluctuation (ISF) training, now a primary intervention in EEG-biofeedback Therapy, was developed by Mark from his experience training the “Ultradian” rhythms: the lowest energy the brain produces. This type of neurofeedback has had a profound, positive impact on the lives of his clients, as well as, the clients of the hundreds of therapists he has taught in the last several years. I trained with Mark in 2011, 2017 and continue to draw upon his expertise in my clinical practice. Dr. Lesley Parkinson – Consultant, Clinical-Psychologist, Specialist in Neuropsycho-Physiology. Dr. Parkinson is possibly the United Kingdom and European most experienced consultant clinical-psychologist in BioFeedback, Neurofeedback, Hemoencephalography and quantitative electo-encephalographic assessment (qEEG) and brain health. I have learnt a lot from Lesley, having attended a number of training workshops that she run at her London clinic: BCIA Neurofeedback Bootcamp in 2013, followed by one day specific workshops in 2014. Kevin Laye is extremely effective practitioner and trainer. He employs a combination of proven psychological disciplines to enable his clients to get the desired outcome as rapidly as possible. Kevin’s approach is very different from a mainstream therapies. It is not about managing the issue or dealing with it, it is to get rid of it as soon as possible and to teach you how to keep it away. 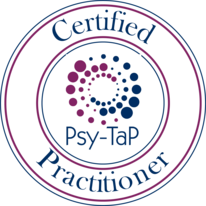 Training with Kevin signified a step change in the way I work, as Psy-Tap has become a part of my daily practice and enabled me to achieve fast change results for my clients. 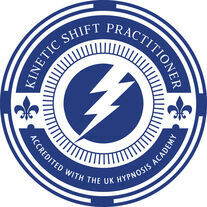 Post Trauma Specialist, Developer of Kinetic Shift and Lead Trainer at UK Hypnosis Academy. Retired GP, GP Trainer, Complementary Therapist, NLP, Hypnosis and Kinetic Shift Trainer. Hypnotherapist and Kinetic Shift Trainer. 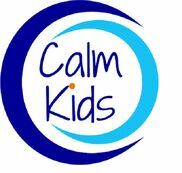 Fran is an experienced stress and anxiety expert, hypnotherapist and coach. Fiona has been working with me and my family since 2003 and has helped and taught us a lot. She is an amazing therapist and healer. Konstantinos is a Total Health Now® founder. His approach is to make a positive change to ‘you': through new ways of living to transform and maintain your optimum health, well being and energy levels the fastest and easiest way.